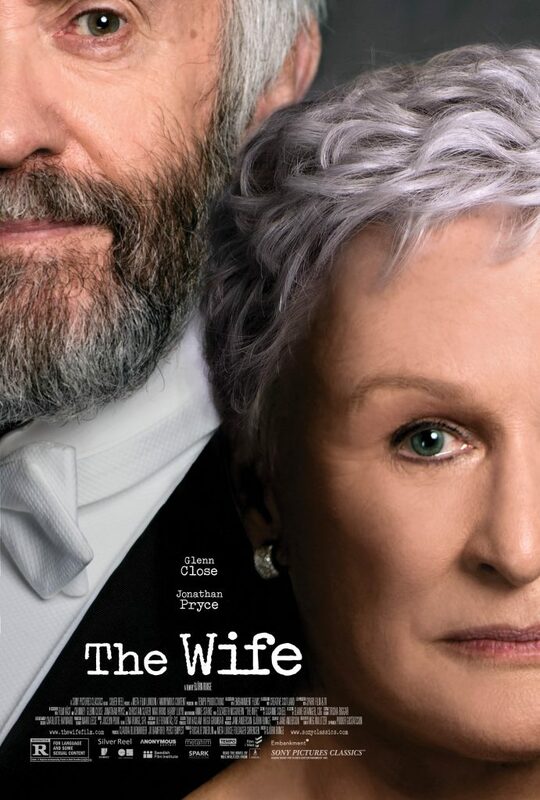 In “The Wife,” adapted from Meg Wolitzer’s novel of the same name, Glenn Close as Joan Castleman has just one request of her husband, Joe Castleman (played by Jonathan Pryce), this year’s winner of the Nobel Prize for Literature: that he refrain from thanking her during his acceptance speech. She warns that she does not want to be seen as the long-suffering wife – nor seen at all, for that matter. She does not like people looking at her. 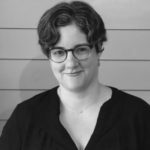 “I’m shy,” she uncharacteristically but perhaps strategically confesses to Nathaniel Bone, a writer who stalks the Castleman family all the way to Stockholm and back with hopes of eliciting juicy bits for his biography of the famed author. Nonetheless, at every opportunity to speak in front of adoring fans, Joe Castleman – a seeming cliché complete with professorial garb, a single James Joyce quote at the ready, and crumbs in his disheveled beard – publicly credits his wife with being the love of his life, his muse, the reason for his success. Joan steels herself for the unwanted, fleeting spotlight with an arsenal of intensely knowing looks, muted smiles, and diplomatic timing, which she launches gracefully. But her requests and opinions do not seem to matter much, as her son and aspiring writer, David Castleman (played by Jeremy Irons’ son, Max Irons), makes clear when he dismisses her warm and genuine compliment of his short story; he urgently wants to know what his dad, the Real Writer, thinks. It seems that David has adopted the role of the long-suffering Castleman, constantly disappointed by his condescending father who “could stand to be more proud of him,” according to Joan. 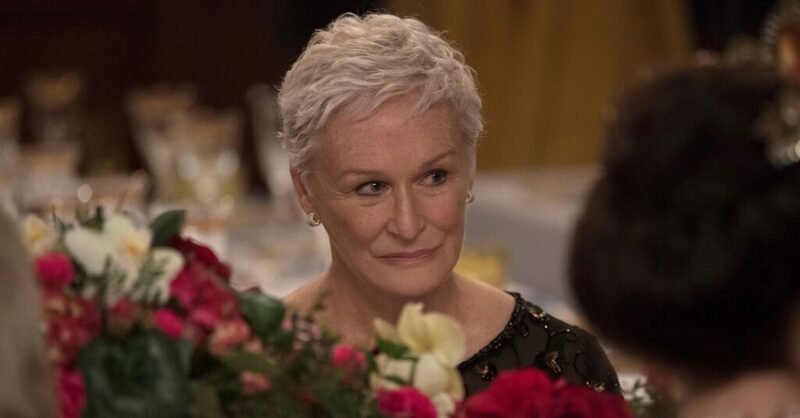 In one of several flashbacks, a 20-something Joan (played by Glenn Close’s daughter, Annie Starke) is defending her work of fiction to Joe, her professor, a married father. He challenges her to dig deeper into the characters she creates, noting that despite appearing cold and disconnected, surely they have underlying desires and hopes. By the time he reviews her follow-up work, a probing and accurate examination of his own life and family, he has fallen for her and her writing. Later, Joan is grappling with how to tell Joe that his first novel, The Walnut, is not all it is cracked up to be. This brutally honest revelation shatters a frail and insecure Joe. He threatens to end the relationship. She quickly promises to help fix the book, however, and so ensues a decades-long, picturesque marriage – the writer’s life and the house by the sea – with Joe at the center and Joan in orbit around him. The gravity that keeps them locked together is a secret that emerges with a sense of impending doom. 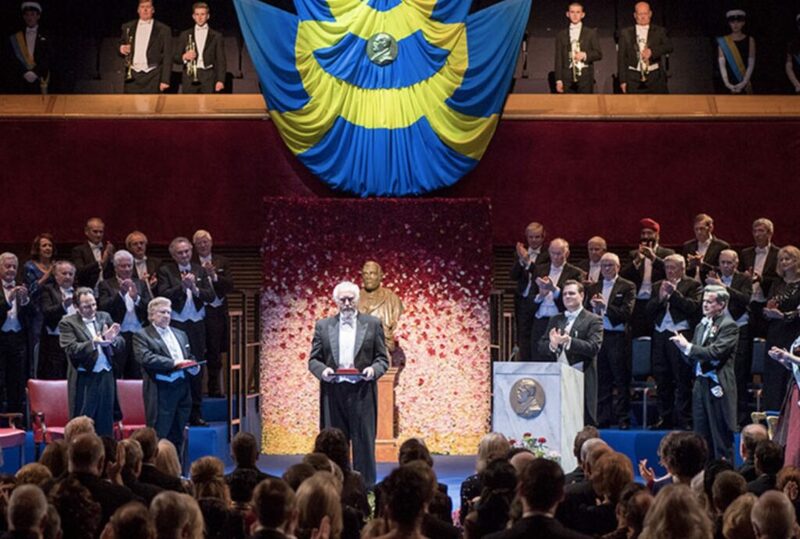 When Joe accepts his Nobel Prize and turns to face us in the audience, he appears as a prisoner who has just been judged and is heading to the gallows. The film is beautifully shot in crisp hues and various color palettes. The men wear dark shades of blue, while Joan progresses from neutrals to dizzying multi-colored cubic patterns and paisley, quite conspicuous for someone who does not want to be seen. The abundant close-ups and confined spaces – bedrooms, airplane cabins, and car interiors – can leave viewers feeling claustrophobic at times. Even in the grand ballrooms of Stockholm, one is rarely granted any breathing room with characters circling and fawning all over each other as they huddle closely. The only way out seems to be through Joan’s eyes, who have seen it all.